The Earth Deck consists of 52 original 8x8 inch laminated photos. Designed on heavy card stock, they are durable and attractive. 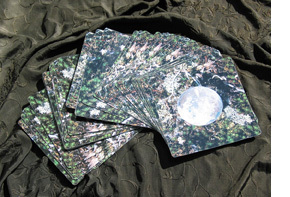 On each card back is an intriguing picture of a crystal ball on the Earth. Go to thumbnail page to view all Earth Deck Images.